With the exception of Martin Schulz, European leaders missed their opportunity to be heard by citizens following the Paris attacks, Piotr M. Kaczy?ski told EURACTIV Czech Republic in an exclusive interview. 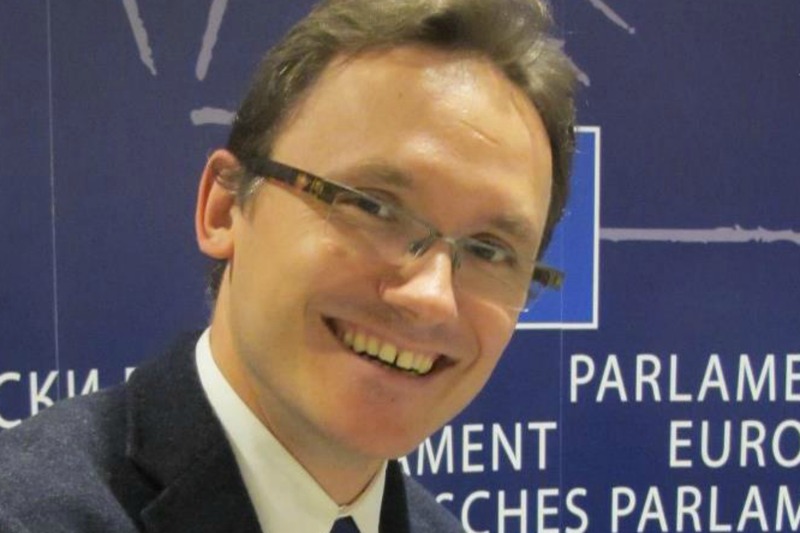 Piotr M. Kaczy?ski is a lecturer at the European Institute of Public Administration (EIPA) in Maastricht. He spoke to EURACTIV Czech Republic’s Editor-in-Chief, Lucie Bednárová. You tweeted that the attack in Paris will not lead to a clash of civilizations, but it will increase terrorist activities in the wider West. What did you mean by that? We live in a world where instability and terrorism is present and is spreading. The globalised world is interconnected at many levels, and there are parts which are going through very unstable time, IE Syria and Iraq. But this is not a holy war which terrorists and extremists would like to have. You can see thousands of people all across the Europe and USA gathering in memorial for the Charlie Hebdo killings. They are defending freedom of speech, and a lot of the protestors are in fact Muslims. They are saying that the people who have committed these attacks are serving Satan, not God. We should see the attacks against mosques in France the same way, as an evil, like the shooting at Charlie Hebdo. There is no room in European societies for violent extremism. Democracy is a system where all views are welcome and can be debated and exchanged, but peacefully. Violence is excluded. That was the reason I tweeted that this is not a fight of civilizations, but against extremisms. TMuslim organisations in Europe have been repeatedly criticised for their rejection of Muslim terrorist attacks in the past not being so strong. Do you think it could cause a problem now? How should they react? I am not an expert on the Muslim communities in Europe, so I am speaking from my point of view. We should realize Muslim communities in Europe are not integrated. We can compare them to Protestant communities which do not have any centralised organ of power. But there are debates within Muslim communities, and it is very important to follow them. We could find Muslims among people who have been coming out in defence of France and democracy against violence. There is another question. It is connected with statements like that of the Turkish foreign minister, who expressed fears the Charlie Hebdo killings could fuel further anti-Islamic positions. It is easy to be partial, but it is important that both extremist sides are strongly rejected by communities which the protagonists feel to be associated with. Violence, wherever it comes from, should be criticized and strongly rejected. EU politicians condemned the act. In your other tweet, you criticised media, stating that they do not pay sufficient attention to the European Council President Donald Tusk, the European Commission President Jean-Claude Juncker and the High Representative Federica Mogherini. Why? In initial reactions, in media you could read a lot of statements made by national politicians, for example, Angela Merkel, David Cameron or Barack Obama, from their point of view. Some of these quotes were mentioning France as a victim. I disagree, because the shooting at Charlie Hebdo was a war attack not only on France, but on fundamental European values and freedom of speech. It could happen elsewhere. I liked Mr. Juncker’s statement where he was mentioning this. He said it was an attack on the Europeans. We need this perspective, we need European unity. I was really surprised that European media were not presenting the words of European leaders, with the exception of Martin Schulz. Therefore, I would say that European leaders missed their opportunity to be heard by European citizens. Let’s talk about the long term consequences of the attack. The attackers killed journalists in the name of Allah, and media and social networks were flooded by racist statements against Islam and immigrants. It is exactly what could strengthen the extreme political parties in France and in other countries in Europe. What consequences can we expect of the political situation in France, especially in the connection with the presidential election in 2017? It is very early to say. France is shocked now, and we will see how the situation changes after its recovery. As we have seen in other cases all around the world, such event changed very little at the end of the day. When we move to France, any actor can capitalize. In situations of crisis, populations usually tend to be more supportive of the leaders, so it could help a weakened President Hollande, and the perspective of Marine Le Pen might be tested. As you can see in Germany, there is movement called PEGIDA, but its opponents are strengthening. The same situation could happen in France, and Marine Le Pen could win or lose. The biggest challenge is probably for UMP (Union pour un Mouvement Populaire of former President Nicolas Sarkozy), as the party needs to offer a policy nuanced from that of the government and distanced from Marie Le Pen. You can always rely on the EU federalists to attempt to make political capital out of misery. It was not an attack on Europe or your claimed ‘European values’. Democracy, freedom of speech & of expression are universal values not ‘European’ & if you really want to be picky about it they started off as British values that were adopted around the world, there is a reason why ‘Westminster’ is known as the mother of parliaments. Personally I hope the pro EU federalists keep making their idiotic claims as the more people know about them the more they will see the EU for the self important waste of time & money that it is. Bring on the referendum, it’s time to leave the sinking ship EU. It’s a good thing not too many European leaders used this opportunity to again clinmb the barricades, they tend to get things wrong a lot. Lets first say that the political instability in the arab world is of catastrophic proportions; that the violence reaching the west is only the smallest proportion of what is happening there; that the “Arab spring” , where so many of our leaders stood cheering, has turned out to be a total disaster. Lets then say that the attacks in Paris, as was the case with the inderground bombers in the UK, were not arab terrorists but disillusioned young people who had grown up there but failed to integrate and felt they had no future. The solution then is a two pronged approach, where there needs to be a sustained campaign in the arab world to promote an interpretation of islam without any violence and with acceptance of other faiths; and there needs to be an education campaign in the west to promote the integration of the children of migrants as true citizens of those countries, and to give them the same opportunities. These measures will over time, bring results. Grandstanding by politicians however, will not.